The Women’s History in the Digital World conference, March 22-23 2013 at Bryn Mawr College, brought together scholars working on women's history projects with a digital component, exploring the complexities of creating, managing, researching and teaching with digital resources. 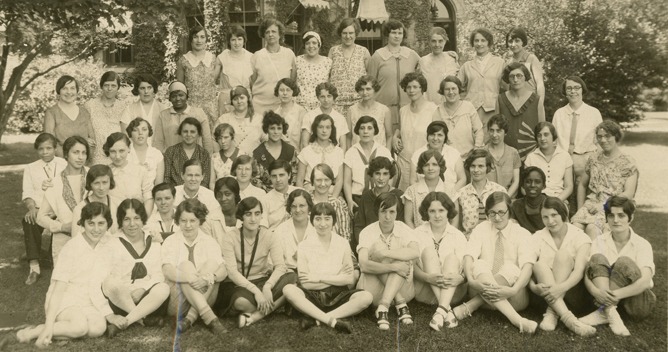 This was the first conference of The Albert M. Greenfield Digital Center for the History of Women's Education, an online repository and resource for materials related to the history of women's education located at Bryn Mawr College. Contact greenfieldhwe@brynmawr.edu with any questions.